There is a gorgeous road along the California coast that is slowing falling into the ocean. Palos Verdes Dr. is the main road that circles the entire Palos Verdes peninsula; however the stretch of road between Wayfarer’s Chapel and Portuguese Bend has been eroding from the effects of landslides and storm run off over many, many years. Certainly in my lifetime there has never been a single occasion that I have traveled along it that an orange under construction sign has not been visible. That is why in my family, we call it, “The Bumpy Road,” and it has been my favorite strip of crumbling earth and asphalt to drive, pedal, and run across since the early eighties. Palos Verdes Dr. South, AKA, The Bumpy Road. 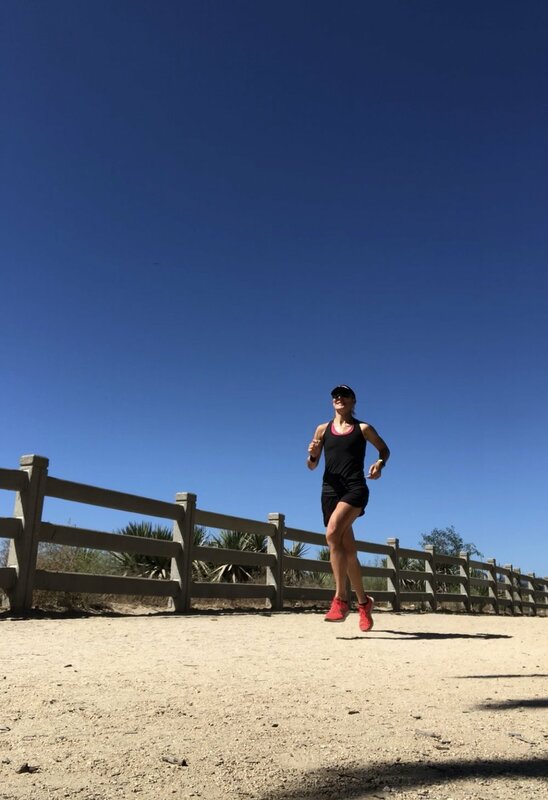 I have run may long training runs along it, even a couple for marathons, because for years it was a major section of the now defunct Palos Verdes marathon course. Although my favorite memories of it were rocking up and down in the backseat of my older brother Tim’s rickety Honda Accord, laughing with my brother Peter and sister Mary, on our way in-between our mom’s house in Claremont and our Dad’s house in Palos Verdes. It was a bitter sweet feeling, that hour-long drive across four LA freeways between one half of our heart and the other, but the “Bumpy Road” interrupted that melancholy by forcing us to hang on for dear life! Not quite, but it did get pretty hairy once in a while. I don’t think I would have wished for those drives together, but I couldn’t imagine my life without them. The four Kelly kids, Tim, Mary, Peter, and their little sister. Kauai, Hi, 1995. Recently, I have had the pleasure of pedaling my bicycle along “The Bumpy Road” en route to the famous “Switchbacks,” which are a two mile grind up Palos Verdes Dr. East. This workout includes a varied number of repeats up the switchbacks, and was a fun way to tack on a challenging ride after a lovely ocean swim this Summer with friends. I have had numerous century rides on PCH through Malibu and up to Oxnard the past couple of months, but the last two weeks I was back on the Switchbacks. I did not have any company, which I didn’t mind, most of my teammates are in different phases of their season, but this past Saturday, I was completely alone. I didn’t even have Simone. Simone in all her glory after carrying me to a fast bike split at the Santa Barbara Triathlon, 2017. Simone is my Dimond bike, and she is currently cruising along the Pacific Ocean on a boat on her way to Kona, HI. Since she is traveling via ocean liner, I needed to drop her off to begin her voyage last Wednesday, and I have been riding my trusty Trek ever since. It has been an interesting few days. Attempted flat-tire fix last Wednesday. By sunrise on Saturday, I was ready to ride. I still slept horribly the night before, but not just because of the sting-ray laden ocean I would swimming in the next morning, or the treacherous hills I would be climbing on a rickety bike, I was anxious because all of the crazy hard work I have been doing this past year, and especially the last couple of months is nearly finished, and Kona is truly, actually, for real, almost here. Honestly, it isn’t the starting line of the race I am nervous about; it’s the finish line of my training. The last two weeks have been incredible. Post Saturday ocean swim/bike ride/nap hair. I still had a tough, but fun treadmill run to do next. Am I thinking about the starting line? Of course! But, first I have to get my house in order for our dog sitter, spend some time with Marion, (he can’t make it to Kona, #showbiz, but he is coming home to visit this weekend to pump me up before I go), and complete each workout between now and my flight on Monday with a heaping dose of fun and focus. That’s right; above all this sport is FUN! In fact, after I finished my switchback repeats on Saturday, I had a blast zooming along the “Bumpy Road” like an eight year old again standing up in my saddle, jumping bumps, and pedaling as hard as I could to crest the final steep hill before it levels off to smooth road again, and my Trek handled it all like a champ. My Trek back in her glory days, Ironman Arizona, 2010. Naturally, I ran long Sunday, and just like I had a feeling it would, it felt horrible, wonderful, and was hard, and fantastic; exactly what I needed to finish off this amazing block of training and send me to Hawaii ready to both hurt and triumph. Post Sunday long run jaunt in Santa Monica. There is an incredible energy that comes from something that refuses to stand still. I believe there is truth and beauty in motion, and just like how the land below Palos Verdes drive will never stop moving, the key isn’t figuring out how to stop it, it’s how to move along with it. Next week’s post will be from KONA!